Whatever the purpose of your Blogging is, the basic building blocks for successful blogs will remain the same. Whether you’re blogging for popularity or earning revenues, you’ll have to be consistent with these important steps throughout your blogging ambitions. Following Tips and Guide will leads you towards Successful Blogging and will make you a Successful Blogger in a right way. Follow our Tips and Guide on How to Start and Choose Blogging as career. Before starting out anything you must have mission statement. You must have clear in your mind, your purpose and goal of blogging. Whole of your blogging activities will revolve around this same purpose. Your keywords, posts’ titles, contents, style and advertisements will reflect your motive and main goal of your blog. Use theme that will attract visitors and make them stay on your site. Dull and boring theme will give a poor impression of your blog and visitors will lose interest in your blog. Your theme must demonstrate professionalism, it must be easy to navigate as well as easy to browse content and find information. The content of your blog should not only be high-quality, but it must also be on unusual and unique topics to give a very good impression on its readers. Quality content forms the solid foundation for successful blogs. Users will keep coming back over and over again to find quality content on your blog. Once they find out quality information they will keep visiting and will leave good comments on your blog. This is mandatory to consistently input blog posts in your blogs and also keep improving the functionality and looks. Apart from this you’ll need to start marketing your blog on different places to get noticed. To make a popular blog with high traffic is a time consuming and tedious task. Regularly update your blog with consistent input. Considerable time is required for blog to become popular and get noticed. For changes to take effect, you have to make constant input of work. Some bloggers quickly get frustrated when they don’t see results in few months. It takes time for every blog to become popular; search engines take time to update results and rankings, so you have to be patient till you see results. Do not give up soon; you have to be patient till you see success rolling in your feet. Successful blogging takes time and commitment to keep things up-to-date and monitored. This is necessary if you’re trying to make money from your blog. Define a strategy for your business and you must keep checking your blog how it is performing. For this, you need patience and determination to get fruitful results. Remain determined about the goals you want to achieve. Be honest with people in giving them suggestions and reviews. Do not overload your blog with advertisements. Promote and review only those products that you find worth using. Give recommendations of those products that you have used yourself and find it really quality product. Do not copy other people’s work and images, as you would not like yours to be copied. Interaction and forming community with other bloggers is important to build networks. This is important to connect with other bloggers on their blogs; comment on their posts and, similarly, get involved with comments posted on your blog. 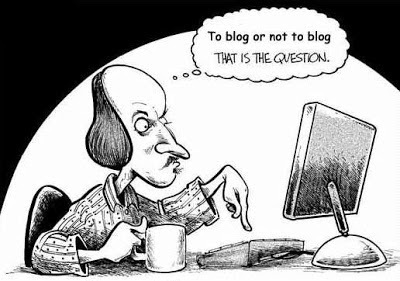 These are the most basic criteria for successful blogging; however, list doesn't end here. Other important qualities and steps can include time management, commitment, dedication, positive thinking, patience, passion, and authority. A Blogger should have every quality that is necessary for any businessman.